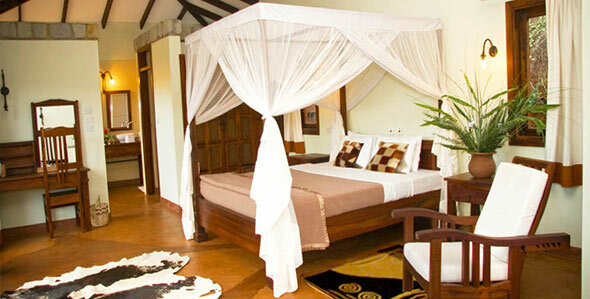 After breakfast at the hotel in Moshi you'll be driven to the Lake Manyara National Park for a wildlife safari. You'll have lunch in the park. When the sun sets you'll drive to the nearby and peaceful Endoro Lodge for a fabuous dinner and overnight stay in your own private chalet. After breakfast at the Kati Kati Camp you'll experience another wildlife safari through the Serengeti and then drive to the Ngorongoro Conservation area for dinner and overnight stay at the Ngorongoro Sopa Lodge, on the edge of the crater. 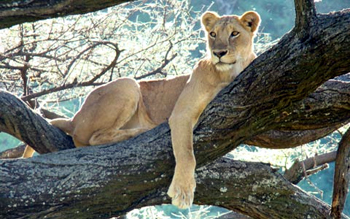 This 4 Days Safari is available for US$ 1,750.- per person (minimum of two participants).